Professionals: All professionals must pay the Nordic Golf League membership fee of 500 Euro. This fee covers all tours (Swedish Tour, ECCO Tour and Finnish Tour) One fee for all tours. The fee is not due before you are asked to confirm your first tournament. Amateurs All amateurs must have a handicap of maximum 3,4 and pay an administration fee of 50 Euros. The fee is not due before you are asked to confirm your first tournament. You can register your self and sign up for tournaments without paying anything. The membership fee is not due until registration of the first tournament you play – payment is processed online. 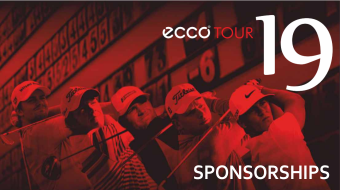 When you are selected for your first tournament you will receive an e-mail and a SMS with notification to confirm you entry and to pay your fees. When you have registered you are able to make your entries. Go to Players Login fill in your user name and password and sign in for the tournaments you wish to play. When “Close of Entries” occurs you will receive an e-mail and a SMS where you are asked to confirm you entry. Confirmation is done by paying the entry fee.